When you want your favorite nut or cream pie filling to rest in a chocolate crust, you'd typically choose a chocolate cookie crust, right? Next time, try this cocoa-enhanced pastry crust. With all the attributes of a classic flaky crust, it adds deep-dark chocolate flavor to every bite. 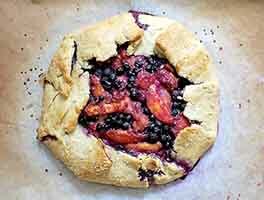 Our thanks to Erin McDowell, whose flavored pie dough blog post inspired this recipe. Whisk together the flour, cocoa powder, salt, and confectioners' sugar (see "tips," below). 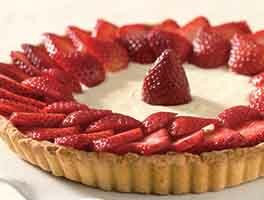 Work the butter into the flour mixture, using a pastry blender or fork, your fingers, or a stand mixer. Don't mix the butter in completely; leave some of it in pea-sized lumps. Add 4 tablespoons of the water, then enough additional water to just bring the dough together; it should be cohesive, but not sticky. Shape the dough into a disk, and chill until you're ready to use it. 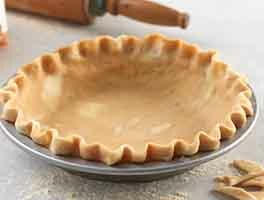 Compared to a typical chocolate cookie crust, this pastry crust is chocolate-forward, one most suited to adult tastes and as a counterbalance to very sweet filling (think pecan pie). 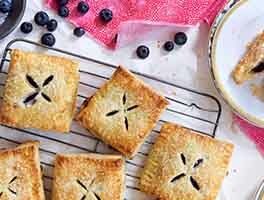 Adding 1/2 cup sugar makes a crust whose sweetness is about the equivalent of the cookie part of an Oreo cookie; in other words, barely sweet. If you prefer a sweeter crust, continue adding sugar to taste. This was delicious - used this for pecan pie. It isn't a pretty crust - looks burnt because it's so dark. But the flavor is great! Actually made more than enough for a single crust.